Philosopher David Chalmers. Photo courtesy of TED. Here are some of Chalmers’s thoughts on Tom Stoppard’s play—running through November 13 at The Geary Theater—which shares the same name as the conundrum that skyrocketed Chalmers to philosophical fame. Why is the hard problem exciting? Because consciousness is the thing in the world that we know the best and understand the least. The hard problem is really about how objective reality relates to subjective reality in the world of science. That’s a problem at the heart of our very existence. When did you become interested in the hard problem? I’ve been interested in consciousness for as long as I can remember. I wondered about how processes in the brain could produce the subjective experience of seeing colors and hearing music. Later on I became so obsessed with the problem that I switched from mathematics to philosophy so that I could think about it properly. I first called the problem “the hard problem” in a talk to the first major interdisciplinary conference on consciousness in 1994. It caught on more than I ever could have expected. How accurately does Tom Stoppard portray the debate around consciousness in The Hard Problem? Tom understands the hard problem very broadly, probably more broadly than I do. In a discussion we had last year, it came out that he really sees the central problem as the problem of value—how can there be values in a godless physical world? Whereas for me the problem is really about subjective experience, rather than about value (or about God)—how can there be subjective experience in an objective physical world? When do you think the hard problem will be solved, if you think it will be solved at all? It probably won’t be solved any time soon! I’d be happy if we have a good theory of consciousness within 100 years. It wouldn’t surprise me if it takes longer. The Hard Problem runs at The Geary Theater through November 13. Click here to purchase tickets through our website. 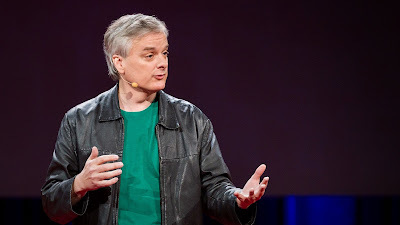 For more on David Chalmers, the hard problem, and Stoppard’s thoughts on consciousness, purchase Words on Plays, A.C.T.’s in-depth performance guide series.